Emergents: Genesis – The Deckbuilding Game társasjáték - Magyarország társasjáték keresője! A társasjáték érték! Az Emergents: Genesis – The Deckbuilding Game egy remek társasjáték, 2 - 4 játékos részére, az átlagos játékidő rövid, csak 30 perc. A társast, 12 éves kortól ajánljuk kipróbálni. A játékmenet erősen épít a pakli építés és a játékos kiiktatás mechanizmusokra. 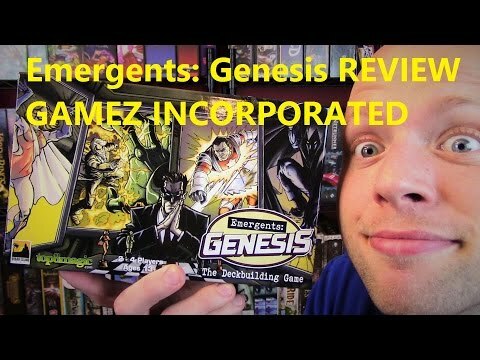 Emergents: Genesis is a PvP multi-player superhero-themed deckbuilding game, set in the Emergents Universe created by game designer and comic creator, Brian David-Marshall and features art from a host of best-selling and award-winning comic book artists headlined by Steve Ellis. 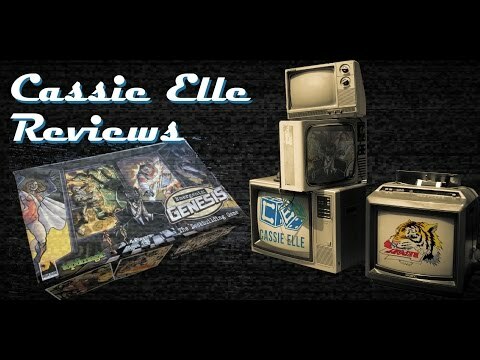 Emergents: Genesis is a 2-4 player deckbuilding game that any age can enjoy, and a game lasts generally between 30-60 minutes. 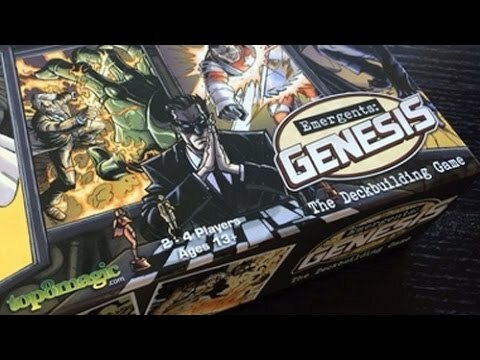 Everything you will need to play the game comes inside a box of Emergents: Genesis. In Emergents: Genesis, players take on the role of powerful superheroes—known in this world as Emergents—and battle against the other players in the game to be the last person standing. 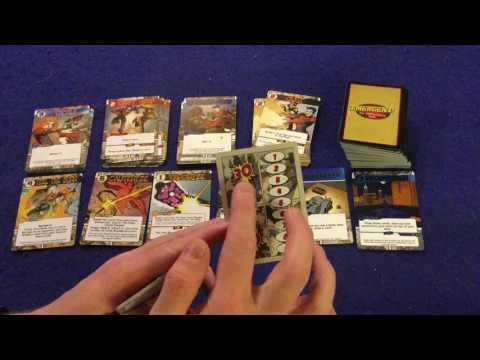 Players customize their decks based on four classes of superpowers in a fast-paced game that can be played by two to four players. 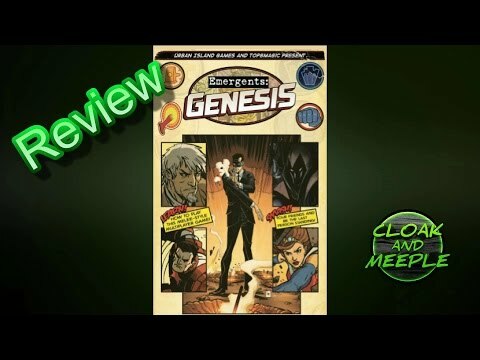 Designed by Urban Island Games and Top8Magic, Emergents: Genesis introduces innovative, interactive mechanics to the deckbuilding game that will appeal to all fans of both the superhero genre and interactive card games. Players are dealt two Emergents face down and choose one of the heroes to start the game with. The object of the game is reduce all of the other players' heroes to zero health by attacking them while also building your deck and customizing your Emergent's superpowers. Each player begins with a deck containing nine Skill cards and three Attack cards. Cards that generate Skill are used to purchase additional cards while cards that generate Attack are used to defeat your opponents. Each player shuffles their deck and draws six cards. They can purchase basic cards that advance their Emergent's class strategy or purchase more expensive cards that are available dealt face-up from the deck. Cards that are purchased get put in the player's discard pile and whenever a player can't draw a card they shuffle their deck. 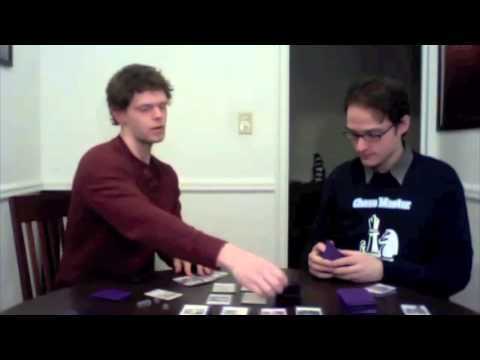 At the end of each turn, a player discards their hand and draws six cards from their deck. As the game progresses, players will ideally create a deck that showcases their heroes' unique abilities and allows them to be the last player standing. While many deckbuilding games are points races, where someone crosses a finish line and wins, Emergents: Genesis requires you to defeat your opponents, which means you can defend yourself if you have purchased the right cards along the way.